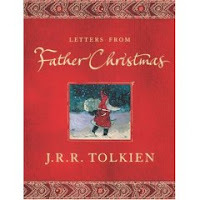 Sometime in the 1920's, Father Christmas began writing letters to J. R. R. Tolkien's children. The letters came with his very own intricate drawings of the North Pole, elves, goblins, and of course Father Christmas's assistant: the North Polar Bear. 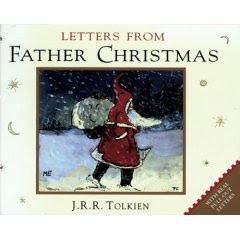 Father Christmas wrote these letters in his shaky handwriting every year for 20 years. I have a book that has some of the letters reproduced, in actual envelopes. You can pull out the letters and read them, just like the Tolkien children did all those years ago. Each year at Christmastime, I open up the envelopes and smile as I read about the adventures in the frozen North. Apparently, there is a newer version that contains even more of the letters. I haven't seen it, but I don't think it has the pull-out letters (which are half the fun). It does have the gorgeous color illustrations, vividly intact. For Tolkien lovers like me, one version or another of this book is absolutely worth picking up.